Knee and hip replacements are among the most common procedures in America, estimated at over 1M procedures costing Medicare more than $6B in 2013. Knee replacements alone are increasing at an 8% annual growth rate and have approximately doubled in the past decade. Today, approximately 5% of women over 50 have undergone a knee replacement. One in twelve adults over 25 will one day have this procedure. Patients electing for hip and knee replacements and reattachments often have weeks if not months to plan ahead for this procedure. 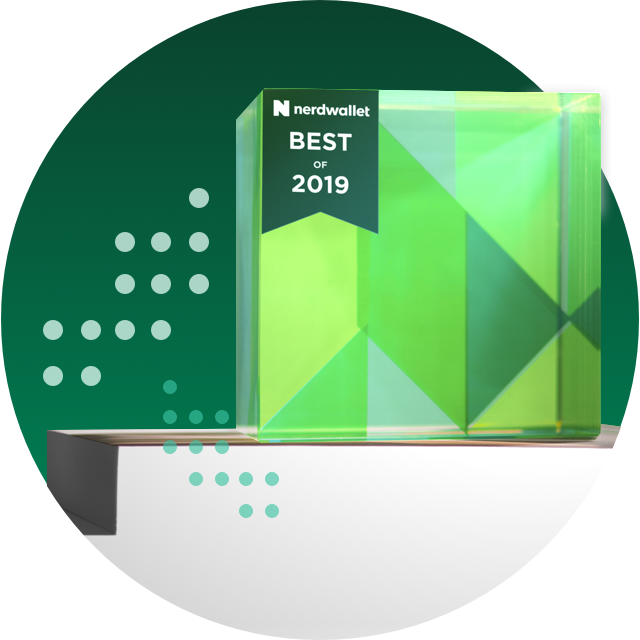 NerdWallet Health evaluated 2,750 hospitals to help patients find the best quality care at the best prices. Patients should choose hospitals that provide over 200 knee and hip replacement or reattachment surgeries each year (which we refer to as “The 200 Quality Benchmark”). Medical studies show patients treated at these high volume hospitals have lower rates of infections, heart attacks, serious complications like blood clots and pneumonia, and death. – Only one in four American hospitals meet The 200 Quality Benchmark. 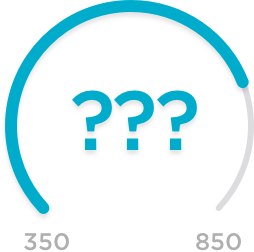 – Two in five patients are not treated at hospitals that reach The 200 Quality Benchmark. – The Hospital for Special Surgery in New York has the highest patient volume in the country, with 3,833 patients treated in 2011. 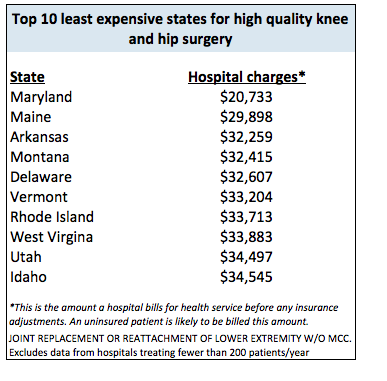 – Arkansas, Hawaii and Wyoming have no hospitals that meet The 200 Quality Benchmark, meaning over 4M people in these states do not have in-state access to a high quality knee and hip hospital. – Medicare compensates the statistically lowest quality hospitals (with 25 or fewer patients per year) almost 9% more than hospitals that meet The 200 Quality Benchmark. – Hospitals with 25 annual patients or less bill 14% more than hospitals treating more than 200 patients. – Both the most expensive and the least expensive hospital in the country perform only 15 procedures each year. Monterey Park Hospital near Los Angeles, performs the surgeries at a price tag of $223,373 each; Chickasaw National Medical Center in Ada, Oklahoma charges $5,303. The nationwide average price is $50,105. – Of the top 25 most expensive hospitals in the country, only 2 reach The 200 Quality Benchmark. Our study conveys a straightforward approach to assessing quality in hip and knee replacement surgery. Our easy to use Hospital Quality and Cost tool allows any patient to identify hospitals with higher patient volume and lower costs. Knee and hip replacements are a useful lens for examining our medical system: they are common, high-priced, and generally elective procedures affecting an aging population. It is surprising to see that higher quality hospitals often charge less than lower quality hospitals. “We found Medicare actually pays more to statistically lower quality hospitals. As Obamacare puts more emphasis on value based purchasing in healthcare, we will be watching closely to see whether higher quality hospitals are rewarded under the new paradigm,” explains LaMontagne. Katz, Jeffrey N. MD, et al. “Association between hospital and surgeon procedure volume and the outcomes of total knee replacement.” Journal of Bone and Joint Surgery. September 1, 2004. Bozic, Kevin J. MD, et al. “The influence of procedure volumes and standardization of care on quality and efficiency in total joint replacement surgery.” Journal of Bone and Joint Surgery. November 17, 2010. Singh, Jasvinder A., et al. “Hospital volume and surgical outcomes after elective hip/knee arthroplasty: A risk adjusted analysis of large regional database.” Arthritis Rheumatology. August 2011. OECD. “Health at a Glance 2011: OECD indicators for knee and hip replacement.” Available online. Weinstein, Alexander et al. The Journal of Bone and Joint Surgery. “Estimating the Burden of Total Knee Replacement in the United States.” March 6, 2013. US Census data by state. Knee pain photo courtesy of Shutterstock.